Like most here, I'm getting excited for the winter to come and have some high hopes for a good season with epic snow! 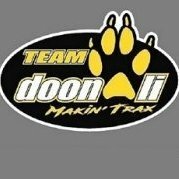 Post up pics of trucks and trailers HERE as we all get them ready for the snow tow season. Nice...Best of luck with her. 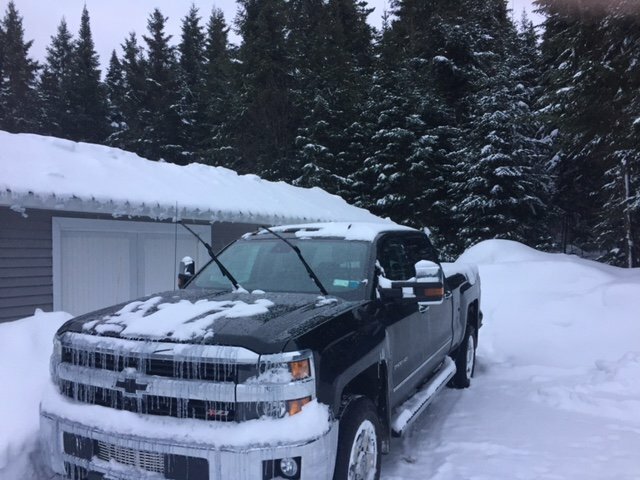 I too am in my first diesel - '16 - 2500 - Duramax - for a 2nd season. Nothing in comparison to a gas job - all muscle - no hesitation. 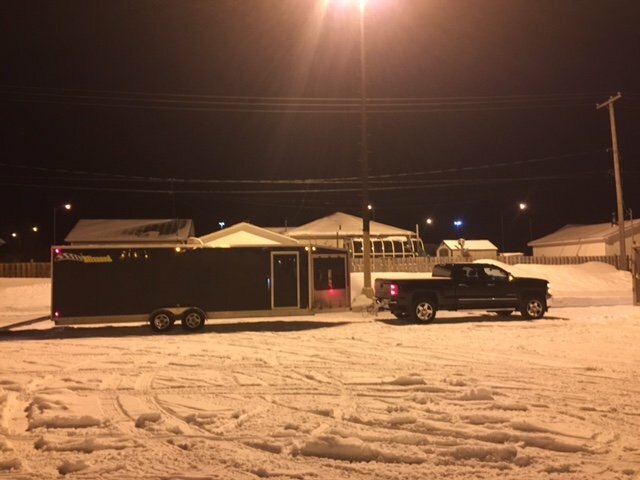 April 7, 2016 last truck in the corral at RDL. I use a 2003 Honda Pilot bought new currently has 143,000 miles and runs like a top. I pull a 2008 Triton 12' clamshell trailer. Now before you fall on the floor laughing I have had other members here chase me from the USA to RDL and were unable to catch me, that was a big Ford diesel. 😉 Actually have been truck shopping but having a hard time writing the check for somewhere North of $50,000 on a depreciating asset. That new Ford is quite beautiful thought. 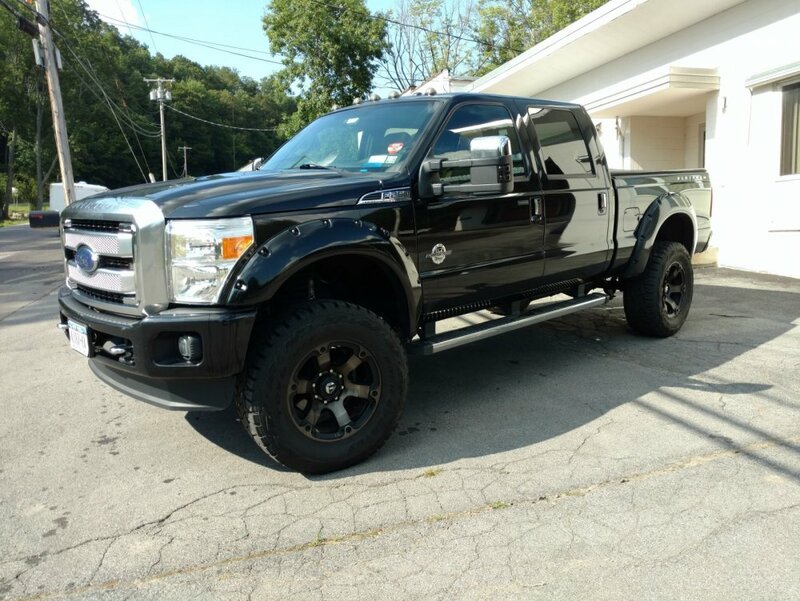 Nice looking trucks Teet F8S + nyskidooerinnewhampshire! Unless you are towing something bigger than a 2-place trailer (or a big boat/horse trailer/camper in the off-season) and driving more than ~25k miles/yr its very hard to justify the extra $$. Diesels are built for big miles and unless you use it for that, you definitely won't see a benefit. 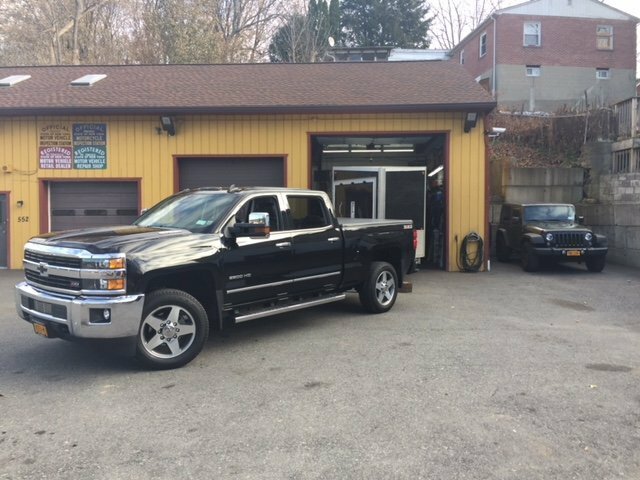 Diesels require different maintenance and care than gas engines and are best cared for by a mechanic with specialized diesel training. Modern diesels are fairly trouble free but when they aren't running right, most mechanics have no clue. Lastly, an unfortunate fact is that these trucks seem to be a particularly high ranking target for auto thieves in Quebec. 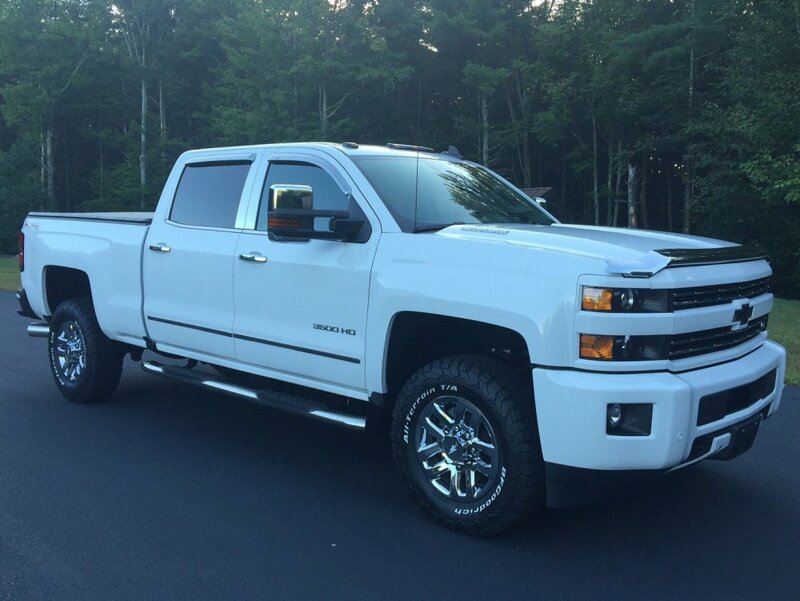 I was a Ford man (Powerstroke and V10) and decided to try a new Duramax 3500 HD. So far I like it. I need it for the boat more than the sleds. Now that we've got that lesson out of the way..
Hi Phil - There will be sticker shock when you look at a 2017 Pilot too since it will be ridiculously more than what you paid for the '03. All new SUVs + trucks are commanding crazy money IMO. Bottom line is buy something you like and won't hesitate putting some money into after 3-4 years if you tend to keep a vehicle awhile. As you said, its a declining asset so you need to get something that makes you happy while all that money flies away. What I don't understand is when the price sheet on the window says 22 mpg and you hook on to a trailer and you get 8 with the gas 2500 and 1500 Chevy trucks. I owned ford 350 6 liter and towed mini excavators and got 13 mpg towing and not towing anything. Wasn't bad. Upgraded to the 6.4 and got 11. Where is the 22 . Thanks Phil! I'm certainly not going to try to follow you to RDL either! Slow and steady for me, until the sled is unloaded at least. Much appreciated, I spend a lot of time in the truck for work. About 55K+ miles a year and the diesel will hold the value better as I click off the miles. I think those window numbers are downhill wind at back numbers they give you on the sticker. I averaged 19 mpg going from VA to CT this monday which was first long trip with it, cruise at 75mph most of the way. About the same or a little better than the old F150 ecoboost. Am I the only one with a RAM??!! So you're the one who bought it! Lol. It is hard for me to spend the money on a diesel. I have a 2001 Chevy 2500 with a 6.-0 gas. 328,000 with at least 9000 pounds in tow for most of its life, sometimes 13,000 when i pull the race car trailer. I put a trans in at 275,000 and later found out it was only the torque converter that was bad. Dad has a 2003 with close to 300,00 and never a big part changed. We have been through two ford diesels and both let us down.Now I have a 2015 6.0 gas and can't be happier! Now some people have good luck with diesels. But I sure don't. Either way good luck with your new one. I can't say it doesn't look good! At least you have a SKI DOO!!! If Honda made a Full Sized SUV that could Tow a 4 place, I'd be down with that. 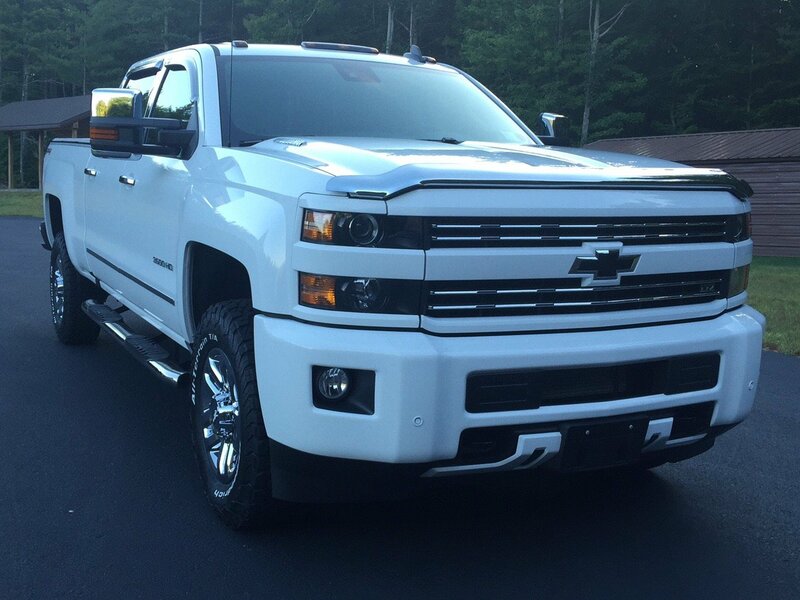 We have had Chevy's and I couldn't take the downtime\Warranty time. The Dodge has been good so far. ( knock on wood). I use a Honda Fit to commute to work, I burn 36-40k a year in it, I'm on the the 3rd one I think, 150k+ miles and turn it in for the next one. The only reason it ever went to the dealer was when I was viciously attacked by Deer and Rodents!